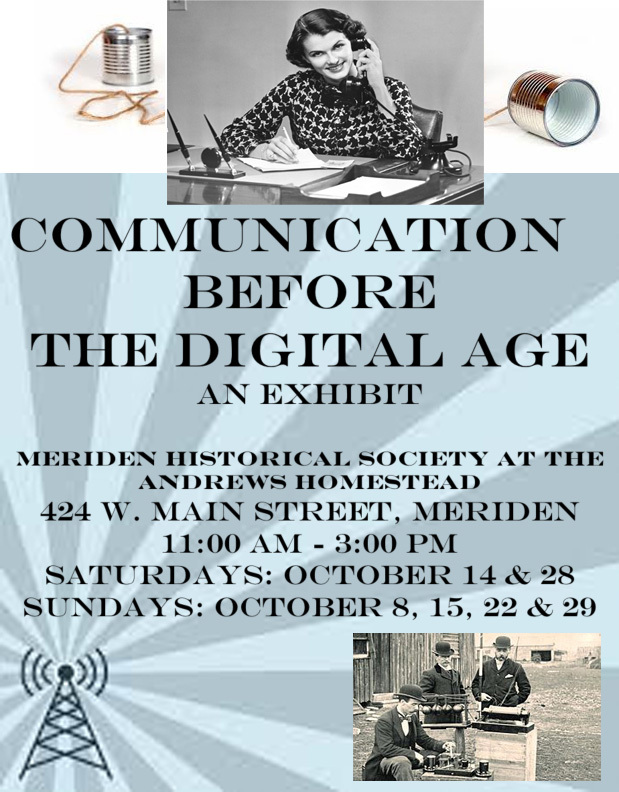 Our October 2017 Open House will feature Communication Before the Digital Age. We’ll be open on Saturdays, October 14 & 28 and on Sundays, October 8, 15, 22 & 29 from 11:00 AM to 3:00 PM. A special wine and cheese reception for members and their guests is scheduled for Saturday, October 7, 4:30PM – 6:30 PM. Admission is free, donations are gratefully appreciated.